Starting at just five bucks a pop, freelance workers offer their services in anything from copywriting to link building to logo design (We even found one seller who will play Overwatch with you!). Business owners, internet marketers, and entrepreneurs of all sorts flock to Fiverr in droves to find affordable freelancers they can outsource work to. In fact, since its birth in 2010, Fiverr has grown into the largest freelance marketplace in the world. However, there’s a reason that Fiverr has a rating of F from the Better Business Bureau. There’s a reason that 94% of the consumer reviews on Fiverr’s BBB page are negative. There’s a reason that first time buyers often fail to become repeat buyers. And there’s a reason sellers are looking for a better platform to ply their trade. In this post, we are going to explore the top 5 Fiverr alternatives 2018. We’ll start by taking a closer look at some of Fiverr’s biggest downfalls and then get into reviews of several other platforms that buyers and sellers are turning to instead. To aid in our research, we surveyed dozens of users to get their point of view on each of these freelance marketplaces. Throughout this post, we’ll share their ratings as well as a few representative quotes from the surveys. As a platform, the UX/UI is great. Easy flow through the process, easy to communicate with buyer/seller. And that’s about where the pros of Fiverr end—the interface. We won’t deny that Fiverr provides a top of the line experience for users. Navigating between your buyer and seller dashboards is seamless and the messaging system is top notch. But (and we’ve got a lot of “buts”) Fiverr falls short for a variety of pretty important reasons for anyone who is either trying to make a decent wage or buy reputable services. By far, the biggest complaint raised by consumers through the Better Business Bureau are related to quality of work, or just flat out failure to deliver. As a result, Fiverr is loaded with cheap sellers who make their money off of pity reviews that make them look much more reliable than they actually are. Multiply this by the thousands upon thousands of sellers on Fiverr, and it becomes exceedingly difficult to find quality at a value. And then there are the scammers. These are the guys who don’t deliver anything, mark the order as complete, and string you along until the review period is over. There are plenty of other Fiverr scams, and the sheer volume of sellers makes it difficult for new buyers to tell the honest ones from the dangerous. A buyer orders a $5 logo design service. She pays a $1 fee, for a total of $6. The logo designer only gets 80% of the $5. So he takes home $4. That’s $4 to the seller and $2 to Fiverr. If the seller makes 100 of these sales in a month, he earns only $400, all the while lining Fiverr’s pockets with $200. You can see from these numbers just how hard it is to make a decent wage on Fiverr, and what a racket they have going on. Fiverr does a lot to protect their own interests. To a certain extent, this makes sense. But Fiverr doesn’t allow you to communicate with users on outside platforms and will even flag your messages if you use words like “email” or “payment” to prevent you from ever thinking about taking business elsewhere. To sellers, this leaves you no room to develop a client email list or otherwise remarket to your following. As any business owner knows, it’s much easier to sell to existing clients than acquire new ones. Unfortunately, Fiverr doesn’t make this easy. Fiverr is notorious for not offering any effective support for sellers. In fact they have often shut down seller accounts with years of service and good reviews with no explanation offered and no chance to get their accounts back. SEOClerks, a platform created by Jordan Delozier in 2011, aims to serve as a top 5 Fiverr alternatives 2018 specifically focused on providing services related to search engine optimization, such as content creation, link building, and web design. Affiliate Program. SEOClerks has a lifetime affiliate program. This means that if you recommend a new user to the platform, you get a 10% commission on every single purchase they ever make. As a seller, this means that people you don’t even know could be promoting your services, and who doesn’t like free advertising? What’s better, this 10% cut comes from SEOClerks, not from the seller – so there are no hard feelings. Flexible Pricing. One major downfall of Fiverr from a freelancer’s perspective is that everything has to be priced in multiples of $5. SEOClerks give you more freedom to charge what makes sense, with services starting at just $1. From a customer conversion standpoint, this is a desirable feature for sellers looking to create exactly the right service packages to meet client needs. High Fees. While SEOClerks doesn’t charge buyers any fee, the seller incurs the same 20% fee as Fiverr. That’s 20 cents off every dollar. To most freelancers, this cost isn’t worth it, especially when you’re trying to establish yourself on an already crowded marketplace. Yeah, you read that right. If you stop using your account, they reserve the right to start charging you. Now, whether or not this is actually enforced enough to become much of a problem is another question, but the mere fact that SEOClerks puts this clause in their terms makes you wonder if it might be worth checking for a different platform. PeoplePerHour (PPH) was founded in 2007 by Xenios Thrasyvoulou and has grown to one million daily users. PPH offers a general online marketplace for all manner of services: video production, photo editing, social media marketing, copywriting, and more. Escrow Protection. If you’ve ever fallen victim to the vanishing client act, you know how frustrating it can be to spend hours completing a job only to never get paid. PPH helps protect sellers from this sort of hassle by requiring buyers to commit to their purchase by placing the money in an escrow account upon ordering. The funds are then stored securely until the freelancer successfully completes the work. Job Posting. One of the handy features of PeoplePerHour is the ability for buyers to post jobs, much like putting out a classified on craigslist. You can set a budget, attach examples, and specify the level of experience you are looking for. Sellers then bid on job postings, allowing a buyer to choose the best applicants rather than spending hours hunting down individual freelancers to work with. PPH even limits freelancers to 15 free bids per month, which means you don’t have to worry about getting overloaded with spammy requests. You Guessed It… High Fees. Once upon a time, PPH had very reasonable fees, but as of May 2017, they have risen to 20% on the first $650 earned every month (and 5% after that). Just like Fiverr and SEOClerks, this number is just unacceptable for a freelancer trying to make a decent living. … I don’t prefer to spend time on there. Personally, I don’t like the UI of PPH. First, if you take a look at the landing page of “hourlies” (akin to a “gig” in Fiverr) you’ll notice that every single service is tagged with an orange featured flag. If everyone is featured, then how are you supposed to tell the good sellers from the bad? It kinda defeats the purpose. Additionally, when you finally do find a service you want to check out, you get bombarded by “recommended hourlie” pop-ups for other sellers. As a buyer, this is annoying. As a seller, it’s disheartening to know that your platform is actively trying to hurt your conversions. All in all, the pop-ups are just a distracting mess that don’t add anything to the user experience. Originally launched under the name Source Market, Konker is the creation of Alex Becker and serves as a digital marketplace for anything related to SEO, internet marketing, web design, and more. Because Becker already had a large following of SEOs at the time of Konker’s launch, the services definitely tend to lean towards that industry, making it a pretty good place to go for specialized SEO work. Low Fees. Finally, a freelance platform that understands the needs of the little guy trying to make it big. Konker takes only a 5% cut on standard purchases, leaving much much more room for sellers to actually turn a profit. High Affiliate Commission. For those looking to profit from promoting the services of others, Konker offers an unheard of 17.5% commission on affiliate sales. And you earn that money on any purchases the buyer makes, not just the ones you directly promote. Bugs + Lack of support. One of the biggest complaints that has turned a lot of people off of Konker are major bugs and an inability to get in touch with a reliable support team. Not long ago, the entire site was compromised and users were unable to log in for days. For established sellers, this meant days of lost profit and delayed deliveries. The only method of support is a poorly managed Facebook group with only 3 admins to respond to some 11,000 members. There are no forums, chat, or email options to receive customer support. Basically, some seedy affiliate marketers have managed to scrape email addresses from Konker and use the lists to flood inboxes with unsolicited promotions. While a lot of the sellers on Konker are top notch, it’s just tough to trust the security of a site that doesn’t even have an SSL certificate. Upwork is one of the great contenders in the global freelance marketplace ring, with their stated vision being “to connect businesses with great talent to work without limits.” Founded about a decade ago from the merging of oDesk and Elance, Upwork now boasts freelancers earning a collective billion dollars a year from millions of job postings. Upwork is a bit different from most marketplaces in that freelancers can’t actually create services. Instead, they post resumes of a sort, and are then hired by clients looking for their unique skill set. Clients can post job descriptions and separate the wheat from the chaff in order to find the right freelancer for the job. Most of the contractors I hire and work with are from Upwork. I have used Upwork for many years and have had the same trusted freelancers for years. It has worked well for me! Pay By The Hour or a Flat Rate. Something unique to Upwork compared to the others on our list is that in addition to hiring a freelancer to complete a set task for a set fee, you can also pay freelancers an hourly wage. This makes Upwork ideal for finding services that are difficult to parse in typical fee-for-service platforms, such as virtual assistants or data entry specialists. When working hourly, Freelancers are required to keep time in Upwork’s built-in “diary” that visually tracks and times their work so that you can ensure they aren’t billing time they spent browsing Facebook. Once Again, High Fees. I hope it doesn’t sound like we’re beating a dead horse, but when it comes down to it, the amount of money a freelancer can make is a key factor in choosing the right platform. Upwork charges the same ridiculous 20% that seems to be the industry standard. However, they do get some props because the seller fee drops to 10% once you’ve earned $500 and then to 5% once you’ve earned $10,000. Still, the barrier to entry is enough to easily discourage beginner freelancers. Typical Boss-Employee Relationship. While this might be a pro for clients looking to hire on Upwork, the change in power dynamics from other marketplaces might not be what a lot of freelancers are looking for. Because the focus on Upwork is getting hired rather than delivering services, most freelancers end up working for their clients rather than selling to them. The difference is subtle, but anyone who gets into freelancing to escape the clutch of bosses and managers will know what we mean. It should be no surprise that our top alternative to Fiverr is Legiit, created by the founder of Superstar SEO, Chris M. Walker. Legiit was, after all, specifically created to fill the gaps in the market left by all these other platforms. It is a community driven, well-supported platform that protects buyers while still empowering sellers to make a reasonable profit. Legiit charges nothing to buyers and only takes a 10% commission from sellers—half that of almost every other marketplace in the industry. Sales that are referred from affiliates can add an extra 15% on top of that, but in the end it’s money that you wouldn’t have earned otherwise. And, if you are offering a valuable service, you’ve just earned a client who will likely return to you again and again and again. Legiit offers full time professional support staff ready to settle disputes, assist with technology issues, or otherwise serve users. With both email support and a full service ticketing platform powered by Freshdesk, Legiit’s customer service rivals other marketplaces and helps buyers and sellers alike know that they can get the help they need, when they need it. Long Form Descriptions. Unlike Fiverr, which limits you to about 1200 characters and doesn’t allow images or very much formatting, Legiit was built on the premise that detailed, long form copy sells. Sellers can provide as long of a description as they want in a robust HTML text editor. Weekly Featured Service. Every week, the Legiit team chooses one standout service through an unbiased review process. The winner is then broadcast throughout the Superstar Universe via Facebook, YouTube, and email. It’s a great way for honest, trustworthy sellers to grow their client base and make a name in the community. 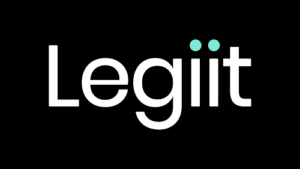 While Fiverr and other marketplaces can often feel like a vast sea of anonymous usernames, Legiit was designed to be community driven from the beginning. For starters, the Legiit feature request forum allows the community to suggest and upvote ideas for making the platform better. With Fiverr, most contractors just want to get done with the job ASAP. Few care about delivering a good result; they want it done, get a 5-star, and they’re gone. With Legiit, the providers are in one or more of Chris’s groups. There’s a closer level of personalization because everyone knows one another. So they want to deliver a good result. Huge difference. Why Only 4.5 Out of 5? Okay, so by this point you’re probably asking “If Legiit is so great, why did you only score it 4.5 out of 5?” And the answer is simple… because no product is ever perfect. Legiit is less than six months old, so it’s going to take some tweaking until it performs exactly how the community needs it to. Legiit has already added several new features based on user feedback, and have a full development team working on a brand new messaging system—among other updates. And after those are complete, there will still be more to do. Legiit will never be perfect, but it will always be better. Better than it was at launch. Better than it was after the last update. All the other top 5 Fiverr alternatives in this review have something good to offer, but if you are looking for a community driven digital marketplace that pairs top quality sellers with eager buyers, look no further than Legiit.